Leo da Vinci and his team at Fixit International Inc. are on the alert for supervillain activity. The latest threat? The Furniture Overlord wants to conquer the world . 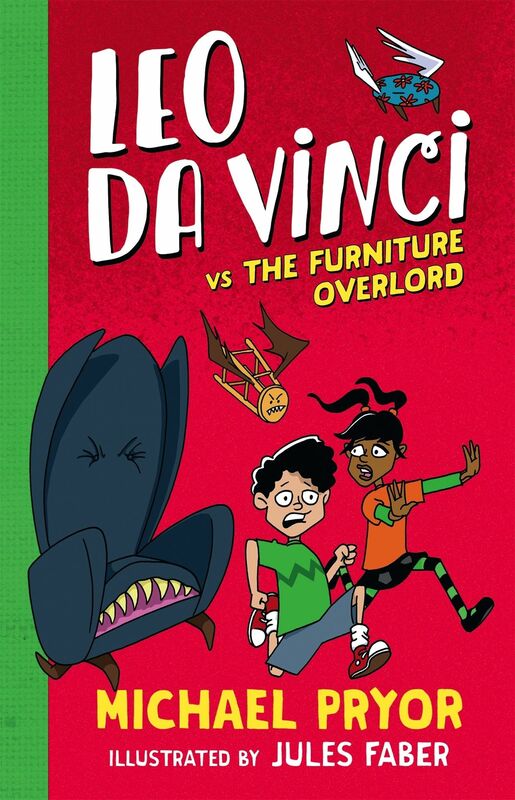 . . by turning every chair, every desk, every sofa into a killer weapon that he controls. Panic stations, everyone! The to-do list? Head to Basement Level 5 for Leo’s latest high-speed invention, the Thunder Raid Lightning Thing. Engage the Fastest Drive. Blast off. Start brainstorming better names for Leo’s inventions. Then tell that Furniture Overlord he’s not the boss of you.